Four political movements that have challenged Zionism are examined. These include the bi-nationalist movement of the British Mandate period; the Palestinian Communist Party of the same period; the Palestinian National Movement in its various permutations, beginning with the Mandate period and continuing to the present; and the anti-Zionist Matzpen group from the 1960s to the 1980s. Why does Greenstein specifically focus on these four movements? All of them stood up to Zionist dominance and the colonial settlement project before and after 1948. According to the author, Zionist activists and scholars may find it strange to see their political movement and claims reflected from the perspective of their critics and opponents. This approach, so the author, avoids writing history from the perspective of the victors. 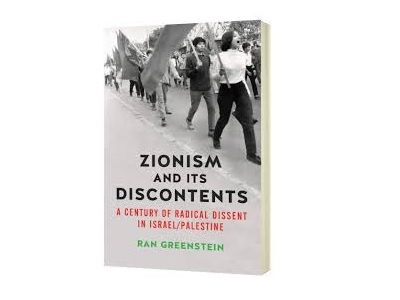 In his first chapter, Greenstein focuses on the liberal-humanist critique expressed early on by Asher Ginsburg, better known by his pen name Ahad Ha’am, and Yitzhak Epstein, who both entertained reservations about Jewish settlements in Palestine. Especially Ahad Ha’am lambasted the prejudice according to which the Arabs were merely “savages” and the country was uninhabited. Epstein’s critique focused more on the political implications of the settlements. His concern was with land acquisition. Although the early Zionist settlers bought the land legally from the large landlords, the former Arab tenants were evicted, violating the custom that the tenants remained on the land when it changed hands. Ahad Ha’am’s message was: The bride is already married to another man. Neither Ahad Ha’am nor Yitshak Epstein focused on political nationalism but rather on Arab local nationalism and dispossession. Another less well-known group of Mizrahi and Sephardi activists advocated a more assimilative approach towards the Arabs. Shimon Moyal and Nissim Malul preferred a more inclusive Zionism better attuned to local conditions in Palestine. They asked for co-existence of two peoples in the land of Palestine. According to Greenstein, “it was a more peaceful and realistic approach than the dominant trend of exclusive Zionism”. The key concept of Brit Shalom was that of political parity. Jews and Arabs should share state power equally, regardless of their proportion in the population. But the ideas of Simon, Scholem and others could not prevail against the forces within the Zionist movement that sided with the declining British imperial power. “Despite its progressive pretentions, Zionism turned its back on the forces of tomorrow, the oppressed people of the region”, writes Greenstein. In the mid 1930s, Brit Shalom was no longer on the scene. Kedma Mizraha (Forward to the East) filled the gap. This “non-partisan” organization was not so outspoken on political issues as Brit Shalom and was smoother to handle by the different Zionist branches. According to the author, Kedma Mizraha was an “apolitical version of the early Brit Shalom”. Brit Shalom pushed its own political agenda opposed to the core ideas of political Zionism, which were: “Palestine as the site for the solution of the Jewish problem, working for a Jewish majority in the country, and calling for a Jewish state as the ultimate goal of the movement.” Kedima Mizraha supported, however, the Zionist leadership, especially that of the Jewish Agency, whose boss was David Ben-Gurion. In the early 1940s, the Zionist movement revealed in the Biltmore program its real purpose: the establishment of a Jewish “state”. Before 1942 it was camouflaged by the euphemism of a “national home” for the Jewish people. Amidst these conditions, a new bi-national movement emerged: Ihud (Union), which was led by Judah Magnes and Martin Buber. Both supported the idea of a “Union between the Jewish and the Arab peoples for the upbuilding of Palestine and for cooperation between the Jewish world and the Arab world in all branches of life.” They called for a “Government in Palestine based upon equal political rights for the two peoples.” Whereas Brit Shalom and Ihud expressed Arab concerns about the increased immigration, the socialist organization Hashomer Hatza’ir, however, underlined the benefits for the Arab population through increased mechanization of agriculture. These political tranquilizers issued by the leftist Zionists could not dispel the concerns of the Arab population, because they realized that colonization was to their disadvantage. This suspicion was further fueled by the Zionist slogans of the “redemption of the land” and the “conquest of labor”. Increasingly, the Arab population revolted against Zionist encroachment. Even then, the resistance was decried as “terrorism” by the Zionists. The political development amounted to a division of the country. Reasonable and dissident calls for a bi-national solution lacked widespread support and consequently fell into demise. Along the liberal-humanist critique of mainstream Zionism emerged a left-wing current that elevated universal socialist principles above nationalism. In chapter two, the author cites from a text by Russian revolutionary Ilia Rubanovich, who formulated three axioms that inform left-wing opposition to Zionism till this day. First, that Zionism would trample over the rights of indigenous Arabs, secondly, that it would force the settlers into an alliance with imperialist forces and thirdly, that it would segregate Jews from the masses in their own countries and thus prevent working-class unity. According to Greenstein, these three topics can be discerned throughout the history of the anti-Zionist Left narrative. Chapter two also focuses on the pre-1948 Palestinian Communist Party. This chapter shows how national identities and loyalties mattered more than an internationalist attitude. “Yeshuvism” and “Arabization” were the new guiding principles in the struggle for independence. An aggravating factor was that the Communist Party was a member in the Komintern (an international alliance of communist parties), whose’s twists and turns they had to follow. International solidarity was nipped in the bud by nationalism. Greenstein points out that the behavior of the different actors have to be seen in a wider context. Palestine saw a fierce clash of two national movements. While Jews in Europe experienced a deadly assault on their livelihoods and their abilities to survive, Arabs were seeking independence after centuries of foreign rule, the British were facing challenges to their empire, and the struggle between liberal democracy, fascism and Soviet-style communism was waged in Europe with unknown intensity. 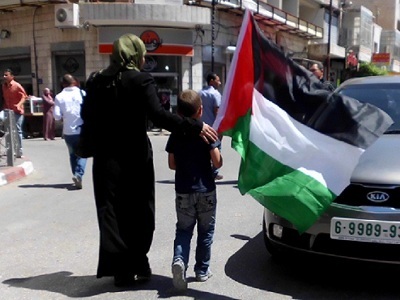 Chapter three deals with Palestinian nationalism and its anti-colonial struggle. Greenstein links it to three historical events, namely the Balfour Declaration of 1917, the UN partition resolution of November, 29, 1947 and the start of the Six-Day War of June, 5, 1967. According to the author, these events did not create new realities from scratch but rather reinforced pre-existing developments or opened up new historical possibilities: “In particular they helped gave rise to new patterns of settlement and resistance, and thus reshaped relations between the main protagonists of the evolving conflict.” Thus, it’s not surprising that the Palestinian movement emerged “as a nationalist project to gain recognition and independence for a specific group identified in ethnic and national terms.” Under prevailing regional and international power configurations it was not surprising that in 1973 the movement gave up its bid for independence in all of Palestine. After the communist parties Maki and Rakah had become entangled in nationalism, it was about time for a new movement that could present the common struggle for a bi-national socialist state on the international stage in a contemporary jargon. In 1962 the Israeli Socialist Organization (ISO) was formed and became known under its monthly publication Matzpen (Compass in Hebrew). These were only a handful members who split from the communist parties Maki and Rakah. After the June war of 1967, Matzpen rose to relative prominence. Their members criticized Zionist ideology from a radical leftist viewpoint. The founding members, Moshe Machover and Akiva Orr, were former members of the Israeli Communist Party. Though they were kicked out of the party for violating internal discipline, their opinion on the conflict had not changed. They called for mutual recognition of the right to self-determination of two peoples living in the country and the return of the Palestinian refugees and for compensation for those who did not want to return. In the first years, the position of Matzpen was not very different from that of the Communist Party and did neither challenge the existence of the State of Israel nor the right of Israeli Jews to self-determination, writes the author. In contrast to all other parties, Matzpen called Zionism itself into question, describing it as a form of colonialism. It was “a colonialism of a special type”, i. e. “colonialism of the Zionist movement”. The difference between “normal colonialism” and “Zionist colonialism” is that the latter seeks the dispossession of the Palestinians in order to create a Jewish state, whereas the former aimed at the exploitation of native labour and resources. Consequently, Machover and Orr called for a “De-Zionization of Israel”, which would bring an end to the discrimination and oppression of the Arab citizens of the State of Israel. For them, the conflict was national in nature and colonial in essence, writes Greenstein. According to the author, Matzpen consolidated its orientation between 1967 to 1979. The De-Zionization of Israel had two components: First, equal rights and redress for Palestinian-Arab residents and refugees alike, and second, the integration of the country in a socialist union in the Middle East. After the June War of1967, a third component was added, namely the struggle against occupation and its consequences. An overall solution was only possible if Israel would withdraw from its Zionist path and integrate as a non-Zionist state in the region. The great value of this book lies in the presentation of “old” political ideas that have not lost their actuality. They still have to be implemented in order to solve the conflict. As a broad conclusion, the author recommends as a political strategy to use the language of democracy, equality and human rights rather than of diplomacy and statehood, thus overturning the Oslo approach. The advantage of this strategy is that it could associate itself with the global justice movement and struggles with independent forces, civil society organizations, and media activists. – Dr. Ludwig Watzal works as an editor and journalist in Bonn, Germany. He runs the bilingual blog “Between the Lines“. He contributed this article to PalestineChronicle.com. In its elegance and integrity this article neatly exposes the ongoing degradation of Western discourse that increasingly threatens our world.